We bake and blog (and eat). Though baking takes up a lot more of our life than blogging. I am a toast person. Almost borderline “toast obsessive”. 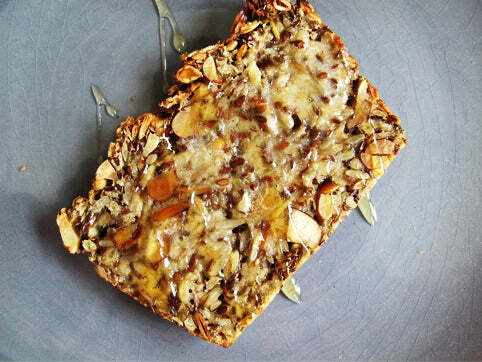 In fact, I pretty much start each and every morning with toast – slathered in homemade almond butter or Nutella or both. And, quite honestly, I’ll toast anything: classic sourdough, muti-grain, a baguette split lengthwise, a hunk of aging miche, even (on the rare occasion) cornbread. Give me good bread and I’ll make an excellent toast. 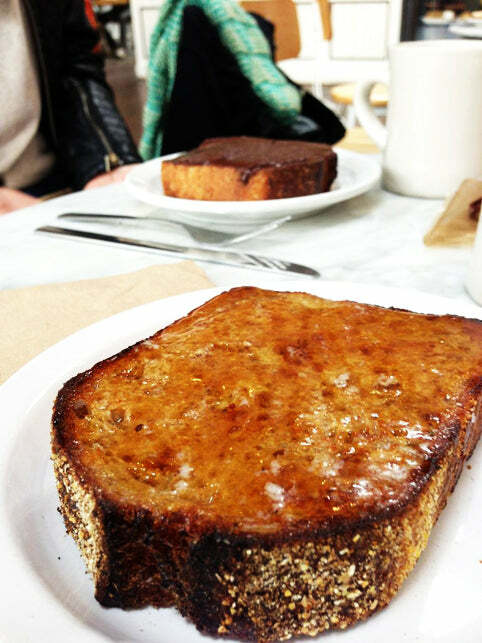 When I finally made it to one of the toast epicenters, The Mill in San Francisco, I was not disappointed. Josey Baker is a bread maestro. 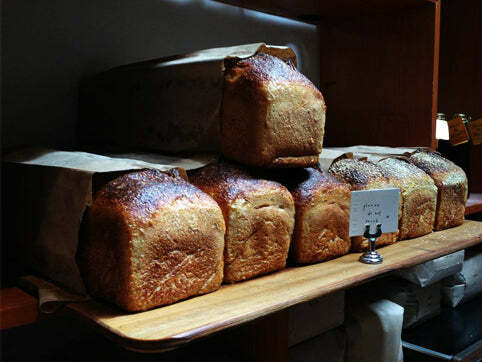 The flour for the bread is milled on-site, the loaves are varied (Rosemary Polenta anyone?) and beautiful, and the toast is just…epic. I won’t go into too much detail except to say you should definitely add The Mill to your list of “must visit” San Francisco bakeries. And to top things off, Josey is a super great guy. He’s really sweet and really talented. And you should watch this video. It’s adorbs. One of the first things I made from Josey’s book, Josey Baker Bread, was the Adventure Bread. I have a pretty strict gluten-free friend and I was determined to impress her. The bread did not disappoint. It is rich and tasty. And a little bit hippie. In fact, it kind of reminds me of a giant, less-sweet, granola bar. 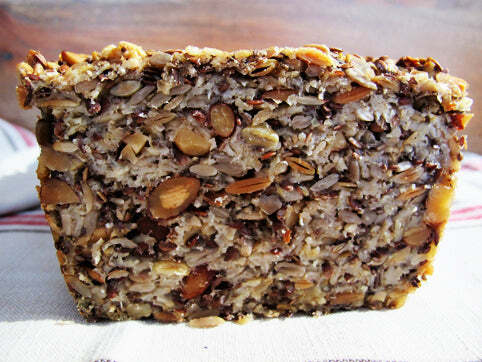 This is the kind of bread you would take with you while hiking (so many nutrients!). It also goes without saying that the adventure bread, thinly sliced and toasted within an inch of its life is a great way to start the day. 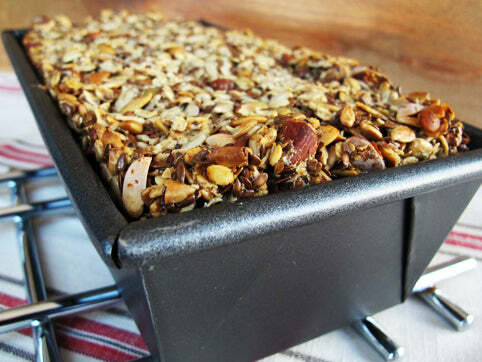 -If you are baking this for gluten-free friends make sure you look specifically for gluten-free oats. 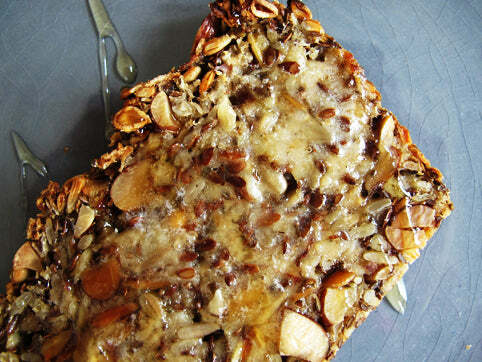 -I have made this bread a few times and it is kind of difficult to tell when it is done. While the instructions recommend to “bake for an hour or so”, I found that 1 hour and 15 minutes made the bread a little better – a little darker/toastier/heartier. -Per Josey, the bread taste best sliced super thin (about ½ inch) and toasted up. Stir all of the above ingredients into a big bowl. Pour the wet into the dry and use your hands to bring the “dough” together into one even mass. Pour or scoop the batter into the prepared pan. Cover the pan with a sheet of parchment and refrigerate over night. The next day, preheat an oven to 400 degrees. Bake the loaf for about one hour plus (maybe closer to one hour 15 minutes). Remove the loaf from the pan and let it cool for AT LEAST TWO HOURS. Slice/toast/top/eat! The National Baking Society is dedicated to preserving American baking standards,techniques, ingredients, ideas and recipes. In less extravagant ornate prose, The National Baking Society is a blog from the folks at Baked. The Awl – Be Less Stupid.